Pick up from Airport or Hotel in New Delhi and transfer to H Nizamuddin Railway station to board superfast air conditioned train to Agra (Gatimaan Express : 12050). Our driver will assist you at Railway station. We will mail you E train ticket after booking confirmation. Train departs H Nizamuddin Railway Station for Agra Cantt railway station. Breakfast included in train fare would be served to you. Arrive at Agra Cantt railway station- meeting with Tour Guide & driver who will be waiting there bearing Ply card of your name. Tour start with drive to Taj Mahal. TAJ MAHAL : Taj Mahal a world heritage site, built by the 5th Mughal King Shah Jahan in memory of his beloved wife Mumtaz Mahal. This edifice is made of pure White Marble and situated on bank of river Yamuna. 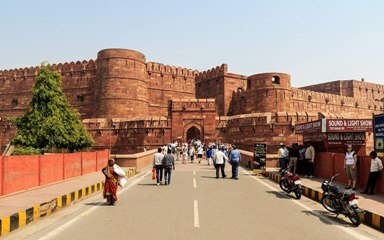 AGRA FORT : After Taj Mahal you will be visiting Agra Fort constructed by the 3rd Mughal emperor Akbar in 156 A.D and includes other beautiful buildings like Diwan- I – Am, Diwan – I – Khas and Musamman Burj. 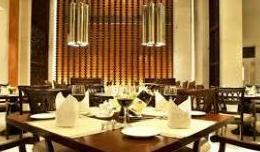 LUNCH BREAK: Multicuisine AC Restaurant for Lunch on direct payment by You. OPTIONAL : Later you can visit Gallery for gifts or souvenirs from Taj City. BABY TAJ : After Agra Fort you will proceed to Itmad – Ud –Daulah tomb. 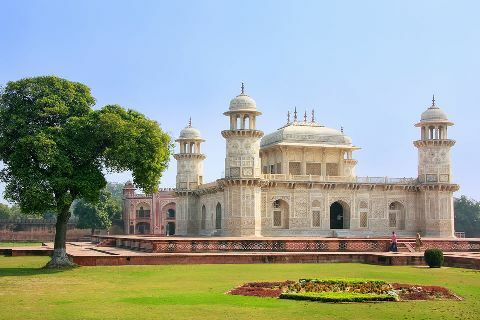 Like Taj Mahal, Itmad – Ud – Daulah is also a well known Mughal mausoleum in Agra and due to some of its resemblance with Taj Mahal.This edifice is popularly known as “Baby Taj”. This tomb is elaborately carved with pure marble that confirm to Indo Islamic architecture style. Empress Noor Jahan ordered this tomb after the death of her father, Mirza Ghiyas Beg ( known as Itmad- Ud –Daulah ) in 1622. Transfer to Railway Station to board train for New Delhi. Train Gatimaan Express No 12049 departs at 17:50 for Delhi. Dinner included in Train Fare would be served to you. Arrive Delhi and Pick up from H Nizamuddin Railway Station for transfering to your Hotel in Delhi. Private AC Cab for pick up from your hotel and transfer to H Nizamuddin Railway Station. Tickets of AC Train Gatimaan Express for New Delhi – Agra return trip in AC Chair Car. Private AC Cab in Agra for Full Day Sightseeing. Shoe cover at Taj Mahal. Private AC Cab for departure transfer from H Nizamuddin Railway station to your hotel. Any Kind of Expense which is not included like Food, Beverages, Monument Entrances. If you intend to leave Agra early than on demand we also provide AC Cab for transferring to New Delhi via Yamuna Express Highway – Supplement Applicable will be borne by you.